at The Mather Homestead’s 2nd annual Homestead Harvest Fest, Saturday, Nov. 3, 2018, in Darien, Conn.
DARIEN — History never seemed so alive as on Saturday afternoon, when the Mather Homestead hosted its second annual Homestead Harvest Fest. 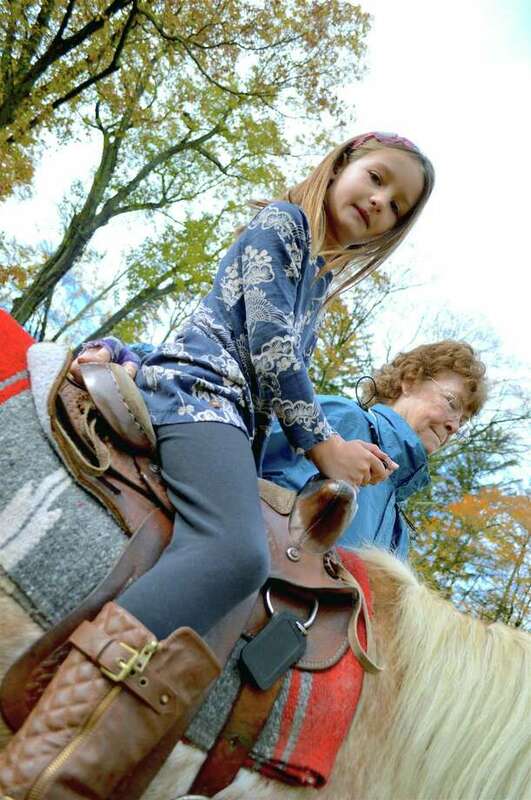 Around 100 families popped in to enjoy an old-style event that largely took place outdoors, with scavenger hunts, pony rides, games and food. “This is a chance to open up the property for families, so they can enjoy the beauty of it in the fall, as well as learn a little bit about our history,” said Lauren Swenson, executive director. Built in 1778 by Deacon Joseph Mather, seven generations of the family lived on the 100-acre farm. In 2016, the McPherson family deeded the house to the nonprofit foundation to care for its as a museum. The house is also a National Historic Landmark.